A sewage backup impacted three restrooms, two offices and a corridor nearly 100 feet long. 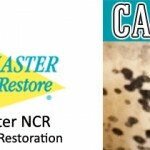 The carpeting was too heavily affected to safely restore, and was removed. The concrete was then disinfected, but the walls had soaked up contaminated water to a height of several inches. Using a proprietary process, a powerful anti-microbial was injected into the wall cavities to destroy odor causing bacteria and mold. The area was then dried under containment, with all materials completely dry in only two days. Three air samples were taken with the InstaScope, and everything came back “green” with spore counts far below the outdoor levels. No reconstruction work was needed, saving approximately $12,000 and 2-3 weeks of time, while making sure that the school remained safe for the students and staff. 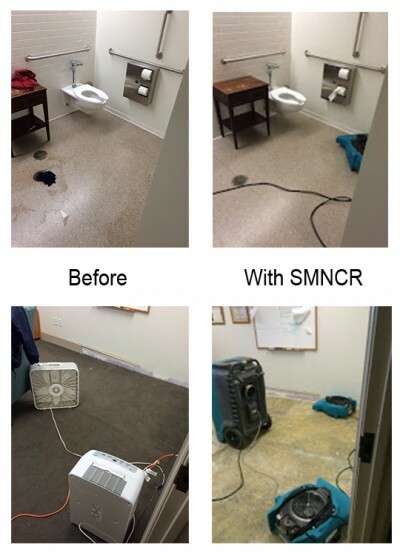 If sewage backup has caused damage in your home or building, call ServiceMaster NCR at (703) 212-7000 – we are available 24/7/365!